Keep hearing about Spirulina everywhere you go? Check out some of the benefits so you can stay Hot & Healthy! Brush Your Way to a Better Sweat! Dry brushing is all the rage! Celebs, like Gwyneth Paltrow, are big supporters of this skincare routine for many reasons. We don’t know about you, but brushing our skin didn’t sound all that appealing when we first heard about this craze. However, dry brushing can be very beneficial for your skin’s appearance and overall health. The act of dry brushing is very simple. Usually before showering, using a natural bristle brush, one will brush the skin, starting from the feet and moving upward towards the heart. This helps to eliminate the outer layer of dead skin on our bodies. Not only that, this is a direct opening to our lymphatic system. Exfoliation leads to healthier skin. Shedding the dead skin cells off of our bodies allows our skin to look refreshed and revived. This is the first benefit that most people notice once he or she starts dry brushing. Pair that with a few sweat sessions, and we will practically be summer beach goddesses! 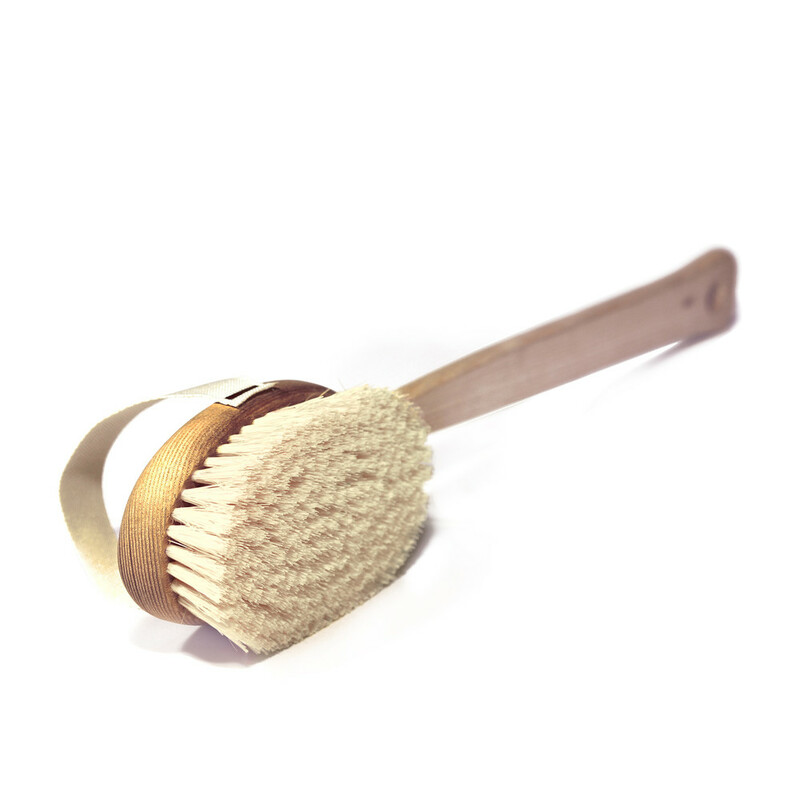 Just like our sweat sessions, dry brushing helps with the appearance of cellulite. There isn’t much evidence to support this claim about dry brushing, but many people who do this daily report having less cellulite. So why not try it? Summer is just around the corner, you know! Eliminating dead skin cells and brushing over your pores can help remove dirt and acne-causing pollutants from the skin. Dry brushing can improve everything from acne, to ingrown hairs! Do you hear that? It’s clear skin calling your name!